Blouses belong to the most essential elements of a woman’s wardrobe. They are stylish, romantic, mysterious, just to mention a few of their characteristic. A blouse is a true classic which is suitable for any age and any event. It can be worn not only at the office (or school), it is also perfect for a stroll in the town or for a night out. There are many different styles and designs. You can find them with or without printing, in a simple version or with sequins and rhinestone details. Reviewing the offer of some stores, it does not seem too difficult to find a stylish blouse online for women but it can be a little challenging to pick the one that suits you and your personality the most. To create your own look, it is up to you what you combine the blouse with. Choose classic pants, skinny jeans, a lovely skirt or even shorts, combine them with sneakers or high heeled shoes, you will definitely get an outfit that has a touch of elegance and style. 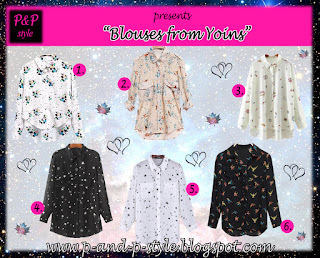 The blouses below are from Yoins, an online store that was established in 2014. The company offers a free standard flat shipping delivery but only if your order is over $50, otherwise it will cost you $2,99 and you also have the opportunity to choose priority direct shipping. 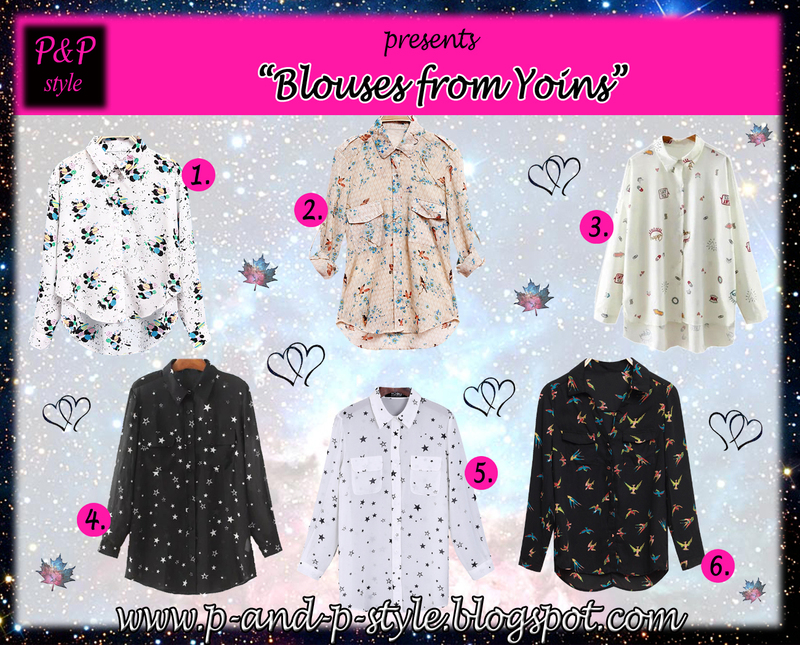 Beside the lovely blouses, you can find some nice fashion two piece sets online at Yoins, too. Which one do you like the most? Do you prefer wearing blouses? Do you think also that they are perfect outside of the office too? Love blouses and yes i wear it outside the office too! I do love blouses! I feel that they are more versatile. Thanks for sharing! Yes, they are, and you can create so many diverse looks, just by combining them with different pieces of clothing and accessories. Great picks, I like the second one! Lindas camisas! amei todas *. * Belo blog, já estou seguindo aqui! I love blouses over with jeans!! I love them with jeans!